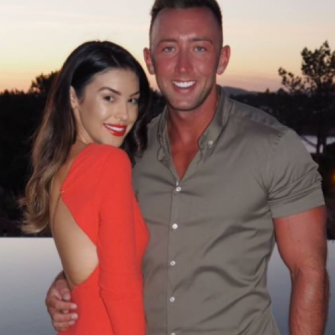 The 28-year-old former Made in Chelsea socialite and the 32-year-old TV Presenter & model headed to the stunning Matthews’ family estate; Glen Affric in Cannich, Scotland. The parents-to-be, who announced their engagement in February this year, recently became husband and wife in an intimate ceremony in front of family and friends. 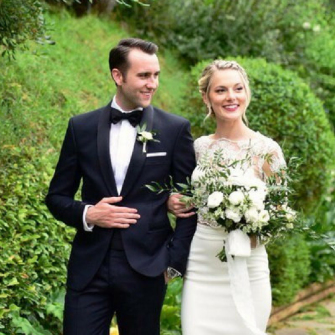 The couple were sure to dazzle on their special day as Vogue donned an elegant off-white V-neck wedding dress that was designed especially for her by acclaimed Irish designer and friend Paul Costelloe. The groom, meanwhile, looked dapper in a bespoke three-piece, midnight blue morning suit made by renowned tailor Tony Lutwyche. It’s reported that the rings which the couple exchanged were a simple rose gold band for Spencer and a diamond band for Vogue, and were designed by the groom himself. The couple treated guests to a full sit-down meal which featured a menu of local Scottish produce. Guests also tucked into the wedding cake, a dusky pink, three-tier sponge with fresh raspberries, vanilla cream and butter cream frosting made by a local baker. Music at the event was kept traditional; with a bagpiper playing as everyone took their seats before the ceremony – which was conducted by a registrar – began. 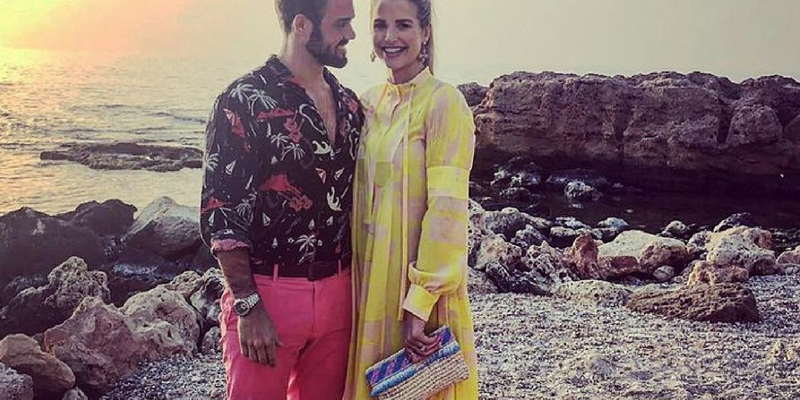 Former Made in Chelsea star Spencer announced his engagement to Vogue in February, following one-year of dating after meeting on Channel 4 show The Jump. 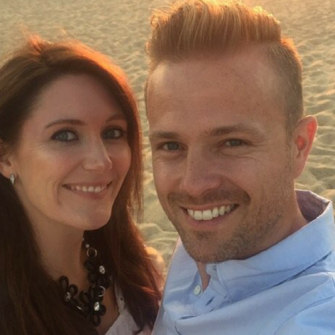 The couple are set to welcome their first child together later this summer. « Pop Star Ariana Grande Secretly Engaged!